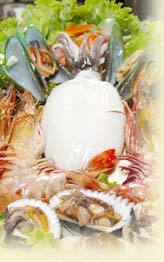 Already listed with our Phuket fish and seafood? Easily create a delicious menu with fish and seafood in Phuket. Both fish and seafood in Phuket are known as the most popular in Andaman Sea. Phuket brings the freshest fish and seafood to provide a great time of eating in Phuket for everyone. Ko Tee Phuket Co., Ltd.
Ko Tee Phuket Co., Ltd. is a wholesale covers on pork, chicken, poultry and beef … freshness, cleanliness and standard quality … Free Delivery! The Sapam Food Supply Center offers various kinds of meat both local and imported, quality fresh & frozen products! Clean, Healthy and accurately priced.